If you have tried endless kale salads to hop on the healthy ban wagon only to be sadly disappointed like me then you haven’t tried this one. 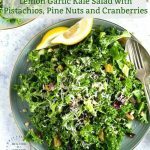 Fresh kale is chopped and tossed in wonderfully light lemon garlic dressing (with a surprising ingredient) along with pistachios, pine nuts and dried cranberries. It will make you a believer! 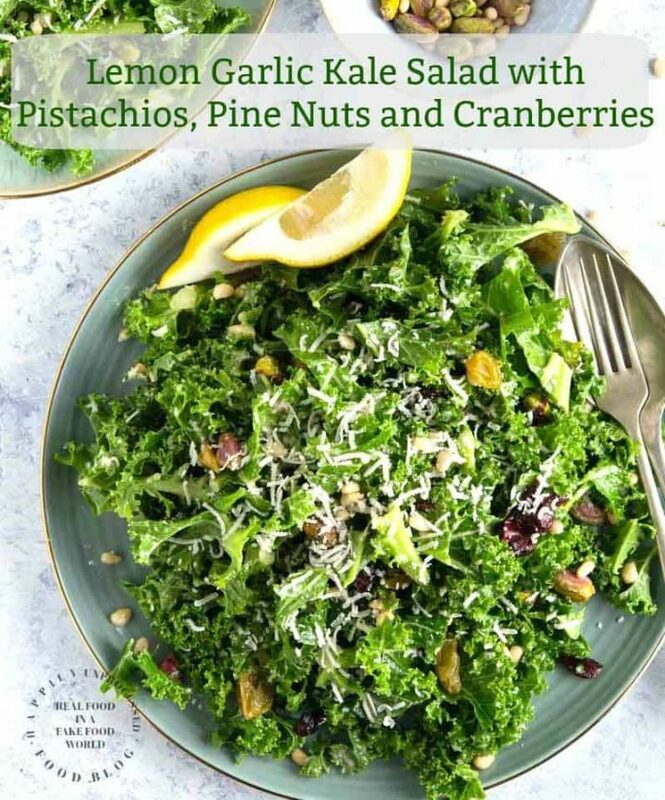 I know the rage of kale salads are yesterdays news but before you decide to pass this recipe by, let me tell you from the bottom of my heart, you will deeply regret it. Never have I ever had a kale salad that I liked … like ever. Kale can be a little … oh shall we say, bitter? And I’ve never been a big fan of it, I didn’t really get the rage. I tried, believe me. Then one day I tried my friend Jill’s salad when we were eating out and I knew right then and there that it was going to be a part of my future. I spoke with the owner of the restaurant about the dressing and why I suddenly liked (aka loved) their salad. He told me kale is different than lettuce. It is tougher and stronger which means it handles dressings really well, but it also needs a little oil and lemon juice to help it break down a bit and make it less bitter. The key to a great kale salad is the dressing, plain and simple. And this dressing is stellar! You can taste the lemon and the lightness of it and then it’s followed by a hint of the maple syrup. Yes, maple syrup. You don’t want to use a lot, one tablespoon is all that is needed for this entire recipe. It adds just a hint, anymore would overpower it. But what also makes this salad so delicious is the addition of the raisins and pistachios. PLEASE do not leave these out. 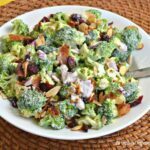 The blending of flavors between the dressing, kale, raisins, nuts and parmesan cheese is a perfect balance. 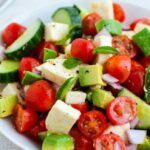 I add some grilled chicken to this for a complete meal with protein. 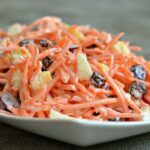 It is a great salad worth trying. Please leave me a comment if you too have been a kale hater and are now a kale LOVER!